The bright sky that you admire while you relax in our pool is the same one that inspired artists such as Giotto and Beato Angelico. There is nothing unusual, therefore, if the moments that you spend in this luminous and serene place are linked to something poetic or inspiring. 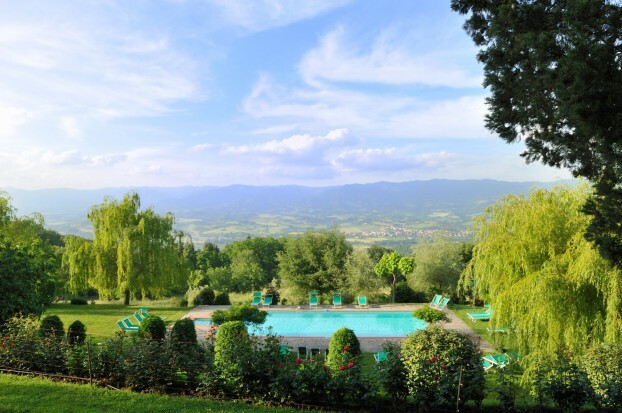 Ancient green trees and an extraordinary view of the Mugello Valley add to these feelings as your eyes scan the Tuscan hills and their colors that change throughout the day. Take a dip in the pool in the evening beneath a starry sky. The magic of this experience will be enriched with a basket of cantucci (typical Tuscan almond cookies) that will be served with Vin Santo. We may serve you something similar to this or something completely different when you arrive. We believe in these small gestures of hospitality that accompany seasons, time, or whatever each moment inspires. We adore pampering our guests. A terrace that looks over a sea. Of nature. 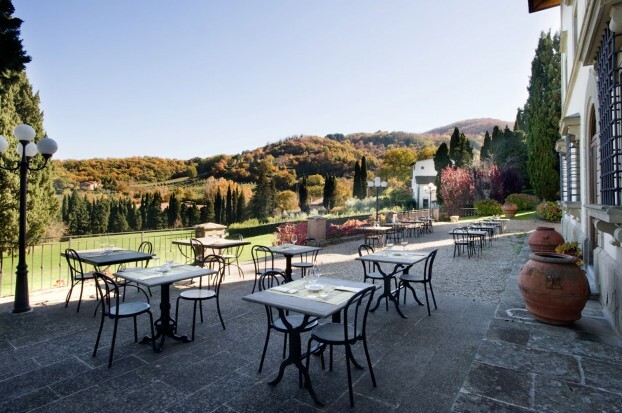 With its unique view over the green sea of Nature of the Mugello Valley, our large terrace is a stage where every occasion becomes unforgettable: breakfast with homemade bread and cakes, candlelit dinners, special events that we will organize with pleasure, family gatherings, and business meetings.